By stimulating imagination, reading can be considered as the first immersive media that we are experimenting in our life. We read for leisure, to learn or to be informed. Nowadays, we read not only on printed books or newspaper but on a variety of electronic platforms (computers, tablets, phones), thus extending the possibilities to read. However, reading poses problems for almost everyone with low-vision and it is amongst the strongest need reported by patients. Electronic equipments such as CCTV have offered new possibilities for the patients to tune their prefered display and many studies have been done to understand the impact of most parameters in reading performance. However, display is still highly limited by the small field of view offered by CCTVs, the navigation issues, and the fact that they are constrained to sit at their desk in order to read, thus providing a limited comfort to patients. 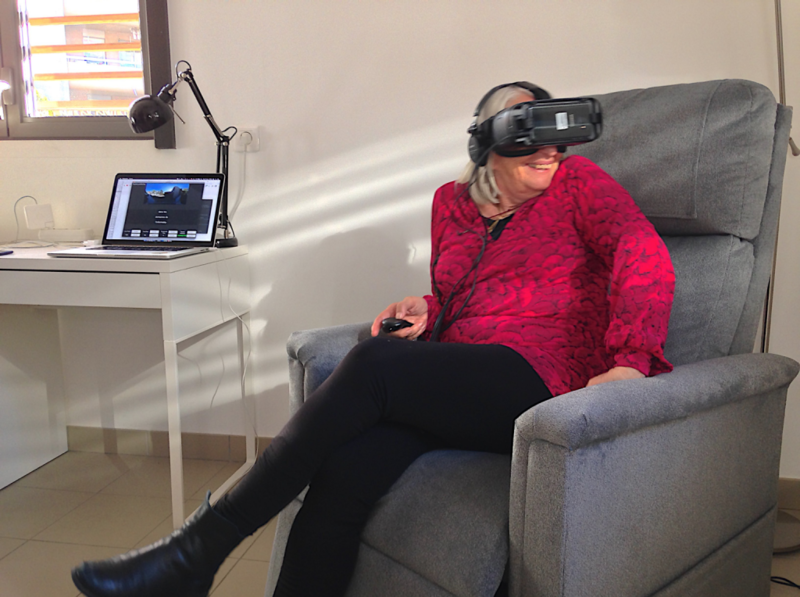 Our goal is to investigate how virtual reality could be used to overcome these limitations and study new reading aid strategies depending on patients’ pathologies. In 2017, this project received funding from Université Cote d’Azur (UCA), in the “Pre-maturation” call which finances actions that transform existing proof of concept into an operational laboratory prototype allowing either the realization of “robust” demonstrators or the complete experimental validation of concept.